Atari is no stranger to repackaging the games from its 1970s and ‘80s golden age. The various companies that have owned — or been called — Atari since the original company went bankrupt in 1996 have released countless compilations on PC and consoles: including “Atari Anniversary Collection” in 2001; “Atari 80 Classic Games in One” in 2003 and the “Atari’s Greatest Hits” compilations for the DS (and later, iOS and Android). The compilation was developed by Code Mystics, a name that is more a sign of quality for an Atari compilation at this point than the actual Atari. The company, who previously did a solid job on the DS Atari compilation, was founded by Jeff Vavasour who through his work at Digital Eclipse has been involved with practically every major compilation of retro games, including all of those Atari compilations I name checked earlier. 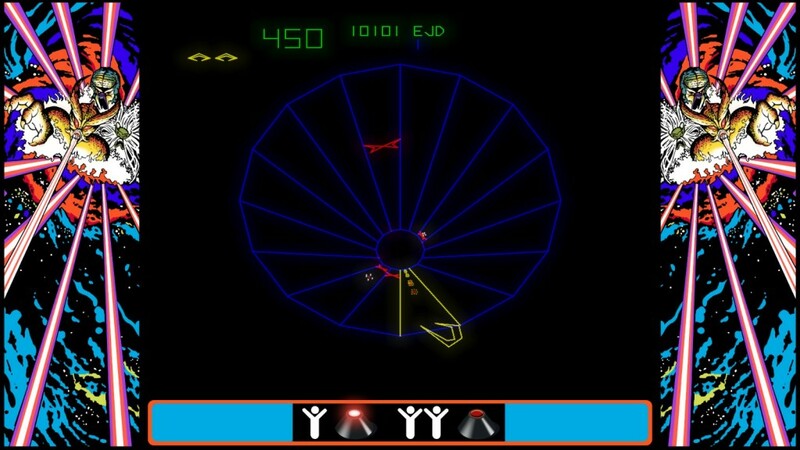 The major change to the arcade lineup is the exclusion much of the loved tank game “Battlezone” as Atari sold the rights to the game during its last bankruptcy. In its place, and making its compilation debut, is the 1976 racing title “Sprint.” Its presence here proves historically interesting as beforehand, these compilations have had “Pong” as the lone Atari arcade game from before 1979. 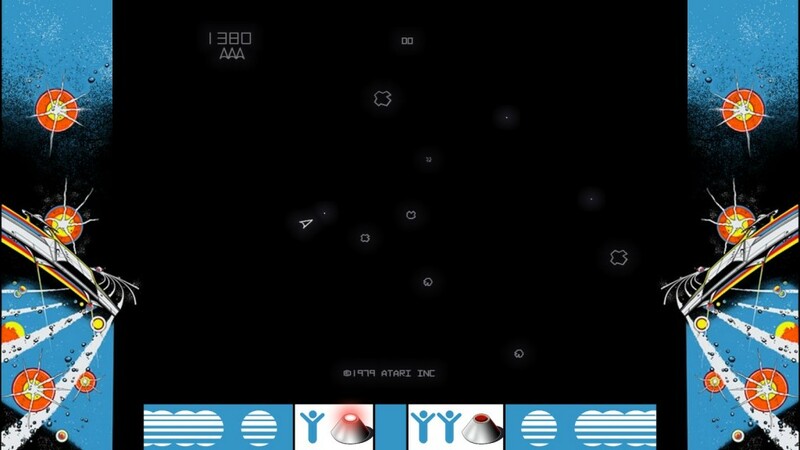 Although I wish “Sprint’s” presence led to the inclusion of mid-70s titles (that I assume Atari still owns the rights to) like “Tank” and “Night Driver” or the cult classic ‘80s game “I Robot.” “Sprint” is a quite decent game, but its inclusion doesn’t make up for the loss of “Battlezone,” one of the best games Atari ever made. The arcade games presented here look great and arcade perfect, with no lags or significant control issues or unnecessary modernizations (which might sound strange, but it’s been a problem in the past with new Steam versions of older games). There are some control snags: I had a few issues with my controller’s speed on “Super Breakout” and I resorted using my mouse instead; That’s not necessarily the best setup possible for that game. 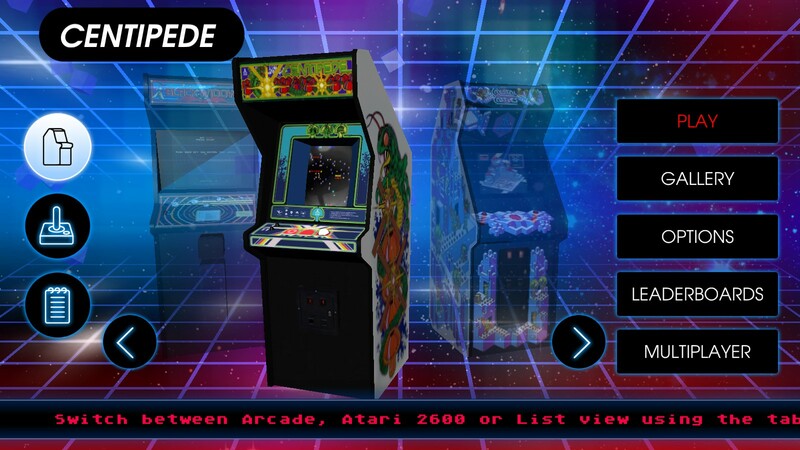 “Vault’s” user interface is terrific, and features full 3D renderings of the arcade cabinets and 2600 boxes. It’s a nice touch to see the 3D models of the cabinets, although I wish there was some way to zoom in on them better to inspect the cabinet art or the representations of the control scheme. The original manuals for the 2600 games are also included, but I wish they were available in a larger, more readable format. The 2600 library makes up the bulk of the games on the system and are entirely first-party games with Atari-owned licenses (so for instance, “E.T. The Extra-Terrestrial” is absent, as are Atari’s own ports of “Space Invaders” and “Pac Man” — for better or worse). Again the 2600 “Battlezone” is missing here for the first time “Solaris,” one the best and best-looking games ever to grace this system is also AWOL, as it’s owned by its programmer, not Atari. 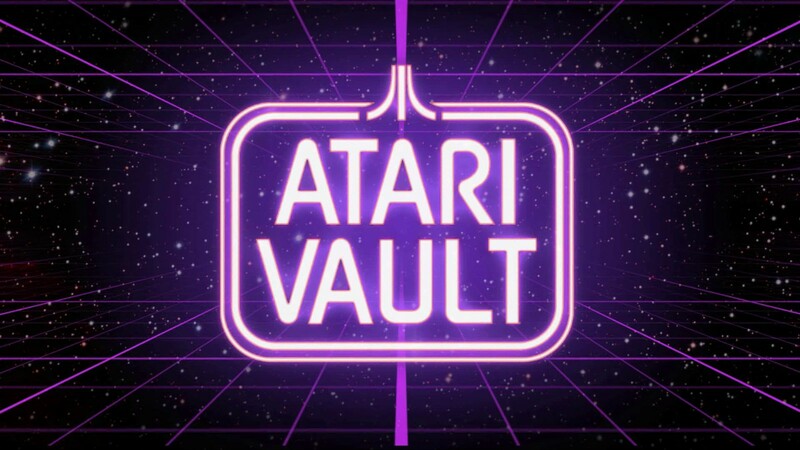 The 2600 games that are present in “Atari Vault” range in age from the original 1977 pack-in game “Combat” all the way to the 1990 action-driving game “Fatal Run.” In between those are usual suspects for these compilations: “Yars’ Revenge,” “Adventure,” ” “Air-Sea Battle,” “Haunted House” and a bevy of arcade ports. These all look and play well, with no serious issues apart from some control hangups on games that originally required the paddle controller, like “Circus Atari.” If you’ve played any of the official 2600 compilations like “Atari 80 in 1″ you’ll know what to expect. As with those, the option and game choices are housed in a handsome menu as opposed to button combinations that need to be memorized. The 2600 games are a mix in quality, as to be expected with a large compilation like this. “Yars’ Revenge” and “Adventure” are classics for a reason and “Super Breakout” and “Crystal Castles” are solid translations of arcade hits to the primitive system. 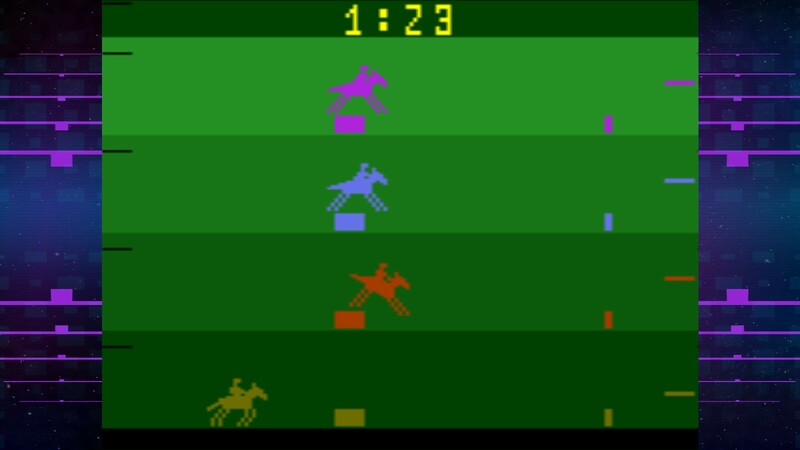 Other games like “Steeplechase,” “Off the Wall” and “Surround” are underrated gems that still hold up over 30 years after their release. Of course there are other overly complicated or simplistic titles like “3D Tic Tac Toe,” “Stellar Track“ and “Flag Capture,” that are simply no fun whatever decade they’re played in. It’s also interesting to check out the games here that were made in the late 1980s, late into the 2600’s lifespan and after the release of more advanced systems like the NES and the Sega Genesis. 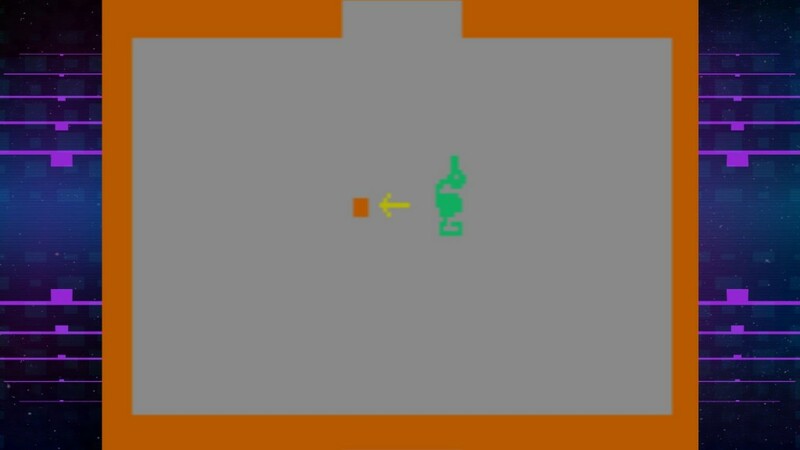 These games, like “Off the Wall,” “Fatal Run” and “Secret Quest,” showcased what the system could really do graphically and hold up rather well. Overall, “Atari Vault” is one of the best presentations of these games so far. I like about as much as “Atari 80 in One,” which has been the standard bearer for Atari compilations since its release over a decade ago (you can still pick that compilation up from the Humble Store, and if you’re a fan of “Battlezone,” it might be the preferable choice), and it’s definitely worth buying for fans of retro gaming. Due to red tape, a truly definitive historical compilation of Atari’s games will likely never be made (legally, anyway). “Atari Vault” comes fairly close, even with the loss of one of the company’s most significant games. Previous ArticleAlbum Review: Weezer - "Weezer (White Album)"